When searching for inspiration for our Burns Night dinner party I came across a recipe from Tom Kitchin. His recipe was for hibiscus pannacotta with floating islands and strawberries. 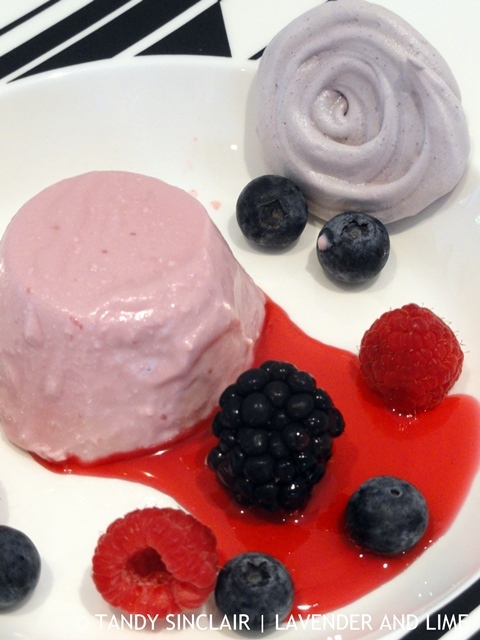 I made hibiscus mousse with blueberry meringues, hibiscus syrup and served it with fresh berries. Sometimes, life throws us curve balls and we need to either catch them or lob them away. In my real life work I do a variety of things. One of them is to create and maintain websites for clients. I usually deal directly with the client but most recently I have been working through a third-party. This is not a problem for me, but it does result in delayed communication. The curve ball came in the way of how WordPress would be installed onto the site. I have a way of doing it that I know works for me. The Internet Service Provider would not do the installation themselves as I requested. They let me know that it was merely a simple click of a button. Well, it has not proved to be that simple at all. I spent over 2 hours trying to get the site to where I want it to be. This all took place the week we were due to leave for overseas. I finally decided that this was one curve ball that I would hit right back to the other side. The endless frustration at something that proved not to be straight forward was starting to get me down. I had to let go of the issue and hope that it would be resolved. I set my mind to sweeter, simpler things such as this hibiscus syrup. It was made as part of a dessert that I served to friends. 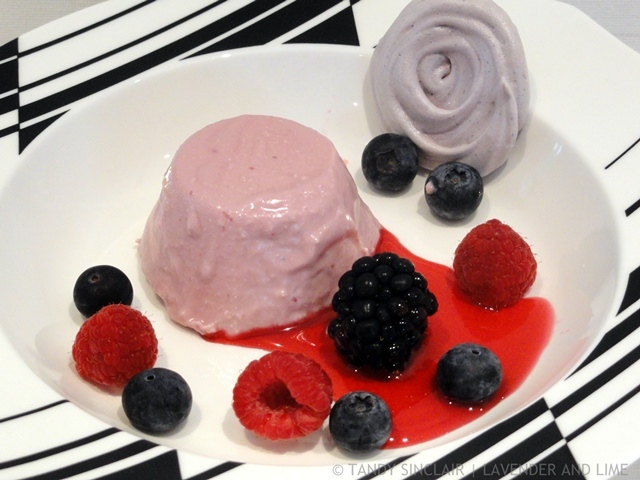 As you can see from the photograph, I made a mousse and some pretty blueberry meringues. Next time I will make double as it is perfect served with fresh berries and cream. What work do you do for your real life job? I LOVE this Tandy because in the midst of winter, I have 7 hibiscus trees and TONS of flowers to use for this lovely recipe. I always wish I could use them more so thanks for the inspiration! And I had no idea you developed and created websites…..I’m more of a gardening and writer myself so I find that aspect of blogging to be the most challenging. Code? Heaven help me!!! So hard for me!!!! So you if you ever have any tips for me….and I don’t you’ve sent a few emails in the past, I’m all ears my friend! This is a very interesting recipe, Tandy. I’m going to use other dried flowers to make more. Thank you for this post! I tried to make hibiscus syrup but always had the problem with balancing the ingredients to make it work. Would it be OK if I add some pectin to make a jelly ?